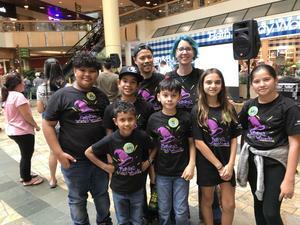 "Makaha's Wicked Wizards," our PALS robotics group went to Windward Mall in Kaneohe for President's Day to compete in the Hawaii Council of Engineering Societies VEX IQ Challenge Invitational. Kilohana Gr. 6-8 is an innovative five-week Hawaiian culture-based math program for students not currently enrolled full- time at a Kamehameha Schools campus. Students will deepen their connection to Hawaiian culture, engage in project- based learning, develop leadership and 21st century skills, while strengthening their connection to their community. Applications are being accepted for Kilohana Summer program. 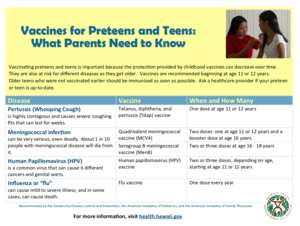 Program site is Waianae Intermediate. The $120 fee will be waived, with a completed application, for students that attend your school. Please note that the application window closes March 15th. 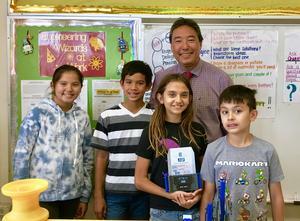 "Makaha's Wicked Wizards," PALS robotics group went to their third and final VEX IQ robotics tournament January 26 at Island Pacific Academy. MAHALO! BALL CORPORATION & HAWAIIAN SUN! 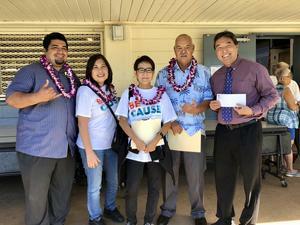 A challenge sponsored by Ball Corporation and Hawaiian Sun for Makaha Elementary to recycle cans and plastic bottles brought classroom unity, school pride and community together. We want to ensure that we are in compliance with these guidelines and regulations to be able to continue to serve subsidized meals to all of our students.